Click here to view Ken's Prayer Service. Click here to view Ken's Mass of Christian burial. Kenneth Harold Fiedler, 76, of Aberdeen, passed away Wednesday, August 15, 2018, at Sanford USD Medical Center in Sioux Falls, SD. Mass of Christian burial will be 11:00 a.m., Tuesday, August 21, 2018, at Sacred Heart Catholic Church, 409 3rd Avenue SE, Aberdeen, with Father Mike Kelly as celebrant and Father Patrick Grode and Father Joseph Sheehan, con-celebrating. Entombment will follow at Sunset Memorial Gardens Mausoleum in Aberdeen. Schriver’s Memorial Mortuary and Crematory, 414 5th Avenue NW, Aberdeen, is in charge of arrangements. Friends may sign Ken’s online guestbook and also view his service via the live stream service link at www.schriversmemorial.com. Visitation will be 2:00-6:30 p.m., Monday, at Schriver’s Memorial Fellowship Center, with a prayer service and celebration of Ken’s life beginning at 6:30 p.m. Visitation continues one hour prior to Mass at the church on Tuesday. Memorials can be directed to The Presentation Convent, Roncalli Athletic Department or The Fiedler Family Scholarship at Northern State University. Kenneth Harold Fiedler was born March 18, 1942, in Bowdle, SD to Harold and Clara (Rosin) Fiedler. 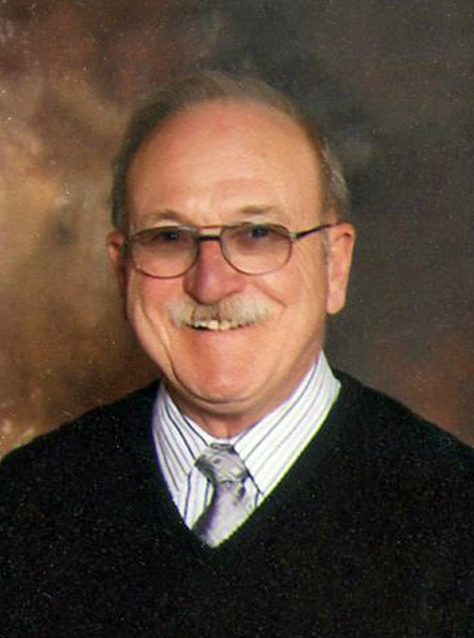 He attended school in Java, SD and graduated from Java High School with the Class of 1960. Kenneth was united in marriage to Diane C. Grandpre on September 15, 1962, in Conde, SD. The couple made their home in Java, where in September of 1962, Ken began his career as a jack-of-all-trades at the hometown grocery store – working as a butcher, bagger, stocker, and store cleaner. In 1964, the couple moved to Aberdeen and Ken began working at what is now Ken’s SuperFair Foods. His hard work and determination led him to becoming manager of the store in 1967. In 1972, Ken purchased the Aberdeen store, as well as the location in Ipswich, SD. During the next few decades, he added stores in Groton, Watertown, Miller, Eureka, Clark, and Britton, SD. Ken currently owned stores in Aberdeen, Groton, Ipswich, Eureka, Clark, and Britton. Ken and Diane raised three children and shared 43 years of marriage before she passed away on September 26, 2005. He continued to reside in Aberdeen until the time of his death. Ken was passionate about his business and the community, serving on the United States National Grocers Board of Directors, as President of the South Dakota Retailers Association, President of the Aberdeen Chamber of Commerce, and on the Foundation Boards of both Avera and Northern State University. In 1997, he was honored to be named South Dakota Retailer of the Year. Ken also had the pleasure of serving as “Frosty” for the South Dakota Snow Queen Festival and being named NSU “King of the Gyps”. When he wasn’t working, Ken enjoyed spending time outdoors camping, fishing with Homer, Norb, and Wes, hunting, snowmobiling with the Gellings, and doing yard work. He also loved traveling with his wife, Dee, to Hawaii and Las Vegas, as well as taking many trips in their motor coach to Minneapolis. Later in life, Ken enjoyed traveling with his friend, Patty. Ken loved sports, especially the Minnesota Twins and Minnesota Vikings. Closer to home, he enjoyed attending all Roncalli and Northern State University sporting events with the McNearys and the Scheids. Ken was also a fan of Elvis Presley and had a great interest in anything relating to him. Blessed to have shared in Ken’s life are his children: Paula Fiedler of Black Hawk, SD and Kevin (Heidi) Fiedler and Kerry (Keith) Brandenburger, both of Aberdeen; four grandchildren: Conner and Morgan Fiedler and Craig and Madison Brandenburger; and brother, Ronald (Margie) Fiedler. He was preceded in death by his wife, Diane; his parents, Harold and Clara; his brother, Arlo Fiedler; and his niece, Heidi Fiedler.